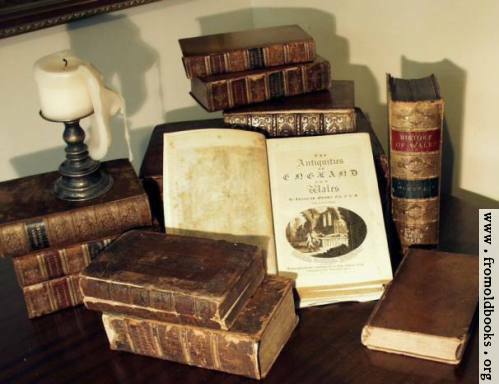 Bring the Books: When did the First 'Berith' Take Place? Kingdom through Covenant by Peter Gentry and Stephen Wellum proposes to cut a middle path between dispensationalism and covenant theology. I am skeptical of such a project, but what I want to highlight is a fascinating argument which they make for the covenant of works between God and Adam. Frequently, dispensationalists will argue that covenant theologians have no textual basis for their belief in a covenant of works between Adam and God. They argue that the basis for this belief is systematics rather than an examination of the Biblical text. After all, they say - Genesis 1-3 does not contain the word 'berith' (covenant). There is a conventional language for initiating covenants or treaties which is standard in the Old Testament. The standard expression for initiating a covenant is “to cut a covenant” (kārat bĕrît; 21:27, 32)...Animals are slaughtered and sacrificed. Each animal is cut in two and the halves are laid facing or opposite each other. Then the parties of the treaty walk between the halves of the dead animal(s). This action is symbolic. What is being expressed is this: each party is saying, “If I fail to keep my obligation or my promise, may I be cut in two like this dead animal.” The oath or promise, then, involves bringing a curse upon oneself for violating the treaty. This is why the expression “to cut a covenant” is the conventional language for initiating a covenant in the Old Testament. Although I don't want to spend the post getting into the arguments behind the next assertion, I will summarize it by mentioning that the word used in Genesis 6:18; 9:9, 11, 17 is not kārat bĕrît; rather, the phrase used is in reference to the covenant with Noah is different: "hēqîm bĕrît." With Noah, God is not cutting a covenant, but rather, upholding a covenant. ...based on the expression hēqîm bĕrît, linguistic usage alone demonstrates that when God says that he is confirming or establishing his covenant with Noah, he is saying that his commitment initiated previously at creation to care for and preserve, provide for and rule over all that he has made, including the blessings and ordinances that he gave to Adam and Eve and their family, are now to be with Noah and his descendants. This can be substantiated and further supported by noting the parallels between Noah and Adam, and between the covenant terms given to Noah and the ordinances given to Adam and his family. 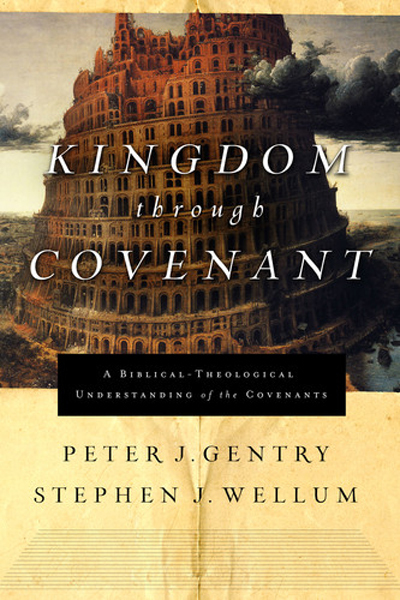 Wellum/Gentry devote an entire chapter in Kingdom through Covenant to this argument, and at this point the book appears to be worth the price simply for this chapter alone. The book went on sale on Friday. You can find it at Westminster Books. Are they saying that the covenant continued with Noah was the pre-fall Covenant of Works or the post-fall Covenant of Grace that is established with Adam and Eve? There is a huge difference between those! How, then, is it different from monocovenantalism? Is their argument that the covenant of grace doesn't begin until Abram? I'm with Steve - the interpretation of God's covenant with Noah being a continuing of a previous covenant is not new*, but the idea that it is a continuation of God's covenant with Adam is (I think) new. That would certainly raise some questions about whether or not the fall broke and nullified the covenant with Adam. I'm not sure how God could re-establish/uphold the same covenant made with an "upright" man with a fallen sinner, especially when God's covenant with Noah was clearly gracious. I look forward to hearing more thoughts from you on the book! Steve, you're asking the same thing I was. I chose not to make that part of the post, but I'll share with you some of Gentry's thoughts on this. He does back away from arguments which monocovenantalists would enjoy. He argues that this is not a covenant renewal, but that it is most correct to see it strictly as "upholding." "To view the covenant with Noah as a kind of reinstatement and upholding of a covenant or commitment initiated at creation is not equivalent to saying that this is a covenant renewal. Niehaus is correct to call for a clear demarcation between covenants made for the first time and renewal covenants which confirm or ratify covenants initiated previously. It is interesting, however, to note that the distinction in usage between kārat bĕrît and hēqîm bĕrît does not correlate with this perfectly valid difference between covenant initiation and covenant renewals or renewal covenants. Frequently kārat bĕrît is employed for renewal covenants since they can be viewed as separate covenants even though they entail ratifying a previously existing covenant. So in the covenant with Noah, God 'makes good on his commitment to creation.' This might be conceived as ratifying a preexisting covenant, but not in the sense in which Niehaus and Williamson have understood Dumbrell." A monocovenantalist is going to want to argue that what is taking place in Gen. 6 and 9 is a covenant renewal. Gentry pushes against this reading. In the next chapter, he talks about what God's covenant with creation is, what it entails, and deals more with how it is related to the Noahic covenant, I just haven't gotten that far in the book. As I look over what I wrote, I am sure that I misstated Gentry in a pretty significant area. They are arguing that the Noahic covenant is a upholding of the creation covenant, but not of the covenant of works. Maybe the next chapter will help clear things up a bit for me.